For generations County Materials has been an industry leader in manufacturing dependable, high performing concrete construction and landscape materials. This is possible thanks to the contributions made by our team members, the collaboration with our business partners, and the business from our loyal customers. County Materials would like to say thank you to everyone who has been part of our success this past year. As we begin a new year, County Materials is proud to celebrate 73 years in business – and we look forward to many more. Thanksgiving is a time to reflect on the past and remind ourselves of the many reasons to be grateful today. 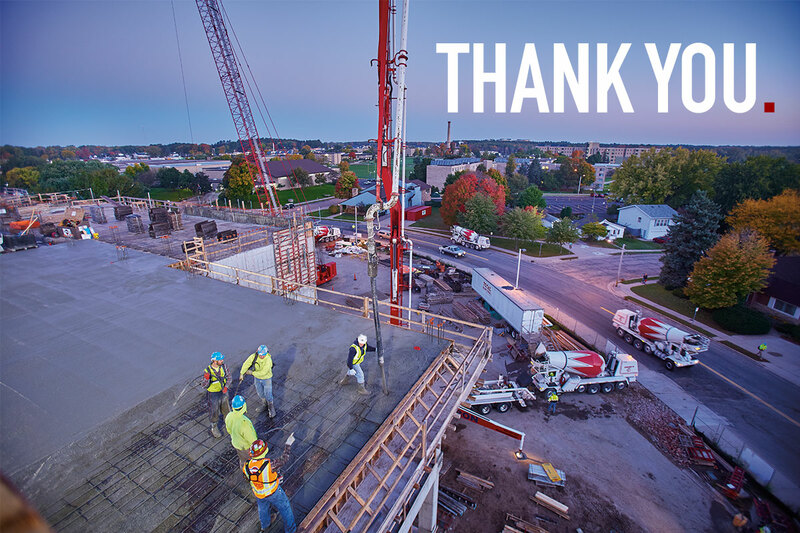 At County Materials, we are thankful for our talented and dedicated team members, and we appreciate the opportunity to supply concrete products that build communities where Americans live, work and play.